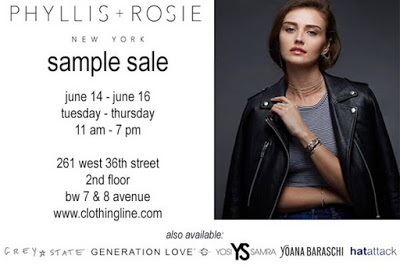 Home » sample sale » New Sample Sales Added! 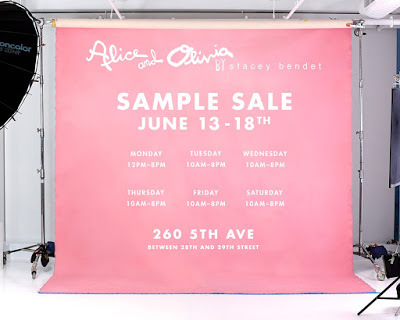 Just wanted to give everyone a quick update as I’ve just added 16 new sample sales to the June Calendar. Yep! Read it and weep, your wallet will definitely cry before this month is over. 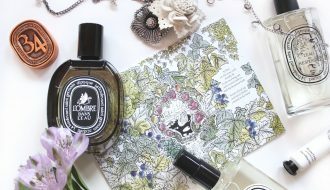 Since the blog does not send out updates whenever I add new entries to existing posts I wanted to make sure this week’s sample sales get some much deserved attention. First up we have Alice + Olivia (it’s actually been listed here since the start of the month) that opened to the public this afternoon. Prices remain unchanged from previous year, samples $49-$99, stock $39-$299. Check my Twitter and Instagram for photos and I’ll try to have the full report up by tonight. As always head to the samples racks first. 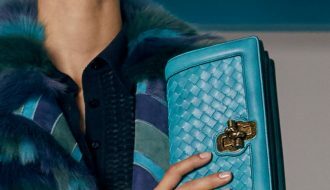 You won’t find better deals on the brand’s signature beaded, sequined gowns and jackets. 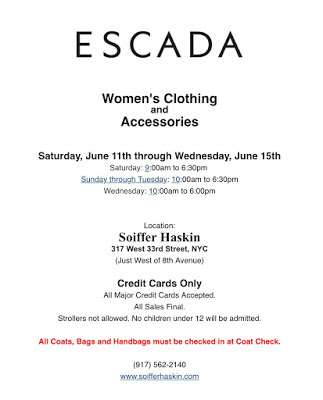 Escada sample sale at Soiffer is already in major markdown territory. Due to the Jewish holidays a large chunk of their regular shoppers was unable to hit the sale yet so be sure to go ASAP. 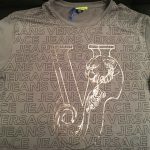 Yellow tag apparel is marked down 90% off retail and the good stuff is already getting picked over. Meanwhile the rest of the merchandise is 80-85% off. 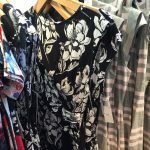 Starting tomorrow, Clothingline has their summer multi designer sample sale with great selection of seasonal clothing, shoes, bags, hats, and other accessories. I’m particularly excited about Yosi Samra foldable ballet flats but hope their inclusion does not mean that there won’t be a showroom sale later this month. 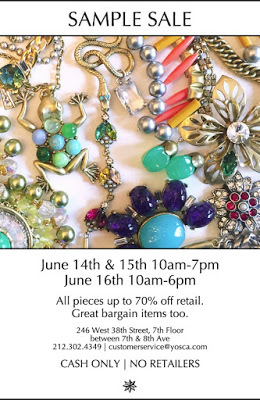 Get your bargain jewelry game on with Gerard Yosca. Besides his own eponymous label, his studio also manufactures jewelry for mass chain retailers and bargain bin prices start at just $1! Yosca jewelry is generally priced by season, with more recent collections around 50%-70% off. The sale is CASH ONLY. 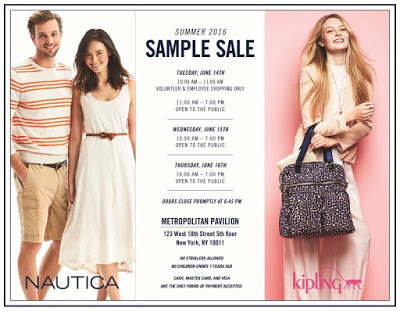 Nautica and Kipling summer sale is back at Metropolitan Pavilion with great deals on men’s and women’s Nautica apparel as well as bags and accessories by Kipling. 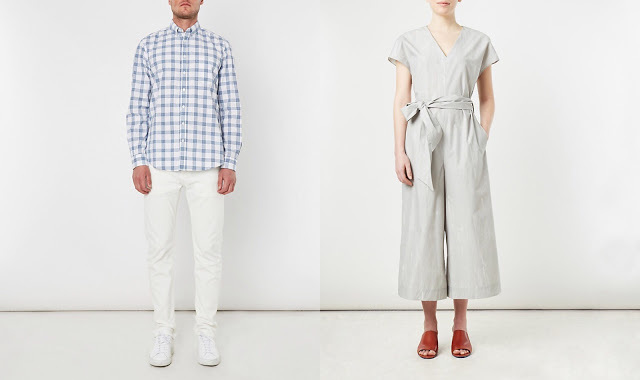 Also tomorrow is Steven Alan‘s semi-annual sample sale with savings of up to 75% off retail. This is the first time the sale is being hosted by 260 Sample Sale so hopefully this doesn’t mean a price increase from the label’s previous sales. 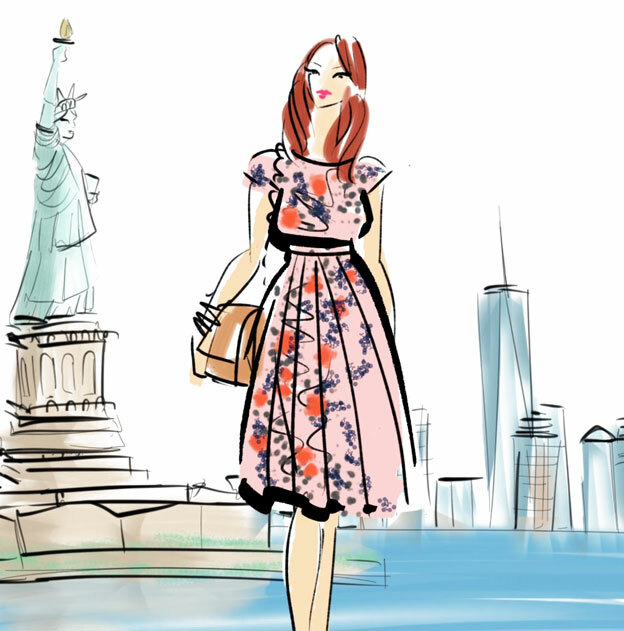 Expect to find apparel, bags, shoes, accessories for women and men. 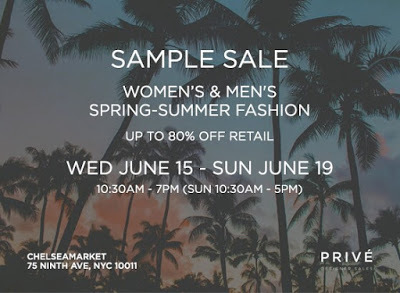 This Wednesday the Prive Sales are hosting a multi designer sale at Chelsea Market. 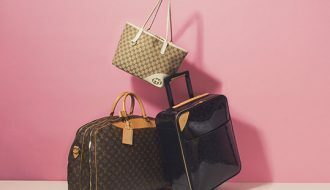 The sale promises savings of up to 80% off on women’s and men’s clothing, shoes, bags, and other accessories. I’ll update once I have more info. 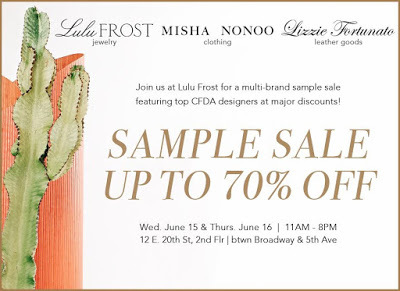 Also on Wednesday is the Lulu Frost/Misha Nonoo joint sample sale. 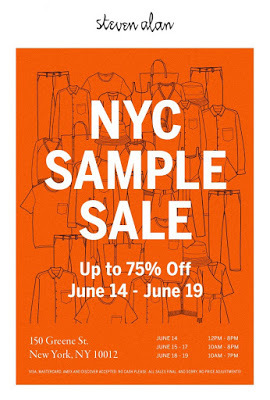 Savings will be 50%-80% off but I am hopeful that Nonoo’s samples rack makes it to this sale. I definitely plan to stop by this sale so keep an eye out for Twitter/Insta updates. *Just learned that the sale will also feature leather products by Lizzie Fortunato. Yay! It's gonna be a great month! Thanks for reading the blog 🙂 I stopped by Clothingline yesterday and they had a small table of Yosi Samra flats for $20. There are extra discounts today so not sure how low the prices are now. 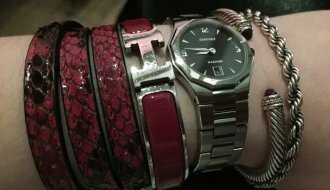 I agree it's not as good as Samra's showroom sale and as soon as I hear something I'll be sure to post.